ECO | YoRocko! | Page 2 ECO – Page 2 – YoRocko! @yorocko @gspcrobert do the answers being sought exploring ways for both sides to find common ground so the denom isn’t torn apart? First, the basic background for the uninitiated. Several months ago, a group of Presbyterian pastors, many representing what you call “Tall Steeple” churches from the progressive/liberal regions of the Presbyterian Church (U.S.A.), were invited to Kansas City to start a conversation about the future of the denomination. The invitation came from Tom Are, Pastor at Village Presbyterian Church in Prairie Village, Kansas, and it went out, as best I know, to people he trusts and who’s insight he values. Specific areas of concern had to do with mission and the need for a different way to engage the denomination’s areas of conflict that aren’t dependent on a political winner-take-all model. The NEXT Church Indianapolis gathering was an outgrowth of that Kansas City conversation (and, I think, another conversation or two). The organizers invited all interested parties to come to Indy and explore different ways of doing mission, vocation, and governance in the PC (U.S.A.). Meanwhile, last month another group of Presbyterian pastors, also representing mostly “Tall Steeple” churches but from the church’s conservative regions–and calling themselves The Fellowship of Presbyterian Pastors–distributed a letter and an accompanying white paper that asserted that the denomination is “deathly ill” and that invited folks to an August event that would explore the formation of a parallel Reformed body separate from but related to the PC (U.S.A.). That letter and white paper were followed by a brief video posted online in which Jim Singleton, Pastor of First Presbyterian Church of Colorado Springs, that further laid out the strategic vision of this Fellowship. So what’s the difference between NEXT and The Fellowhip? One difference is very clear. 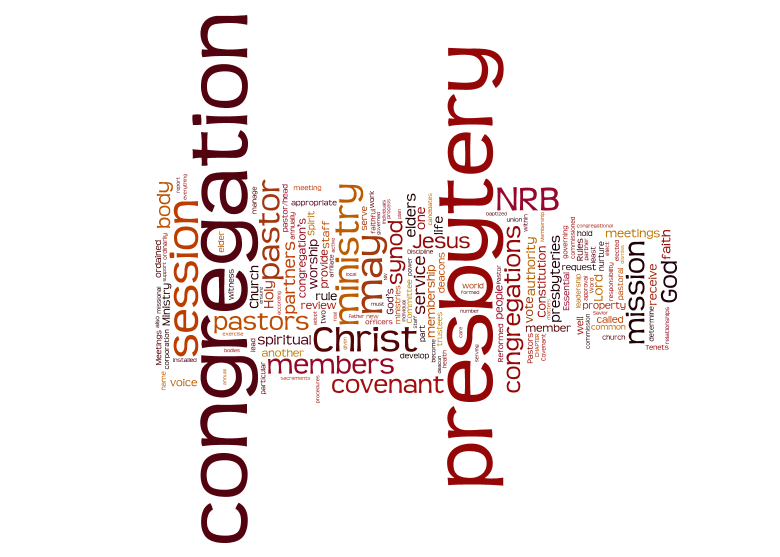 NEXT organizers want a conversation among like-minded Presbyterians. That conversation is about very specific things, and the way it’s been structured so far, it could plausibly produce a number of varying–even competing–results. It is a conversation looking for answers–and new ways of engaging the denomination’s problems. The Fellowship, on the other hand, is proposing the answer at the outset. It is inviting like-minded Presbyterians to join in a process that has clearly articulated outcomes. The organizers have set in motion a process, and people will gather in August to join in that process. @charlesawiley’s observation that both efforts appeal to like-mindedness is apt, as is @suzemb’s concern that NEXT transcend that like-mindedness in search of common ground. But I don’t think like-mindedness is a problem. Shared convictions and common ways of viewing problems are the fuel of effective movements for change. Both The Fellowship and NEXT are appealing to people who think like the organizers and who like and trust one another. There’s nothing wrong with that. And, practically speaking, both efforts are intentionally trying to get beyond the tired effort of finding common ground among liberals and conservatives that leaves both feeling ignored and wronged. In the end, the biggest difference is how NEXT and Fellowship are using like-mindedness, the former as food for an open-ended (but topically delimited) conversation, and the latter as a vehicle for accomplishing precisely defined aims.